James Bushnell is an Associate Professor in the Department of Economics at the University of California, Davis, and a Research Associate of the National Bureau of Economic Research. 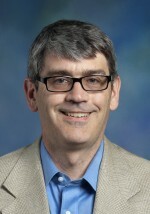 Prior to joining UC Davis, he spent 15 years as the Research Director of the University of California Energy Institute in Berkeley, and two years as the Cargill Chair in Energy Economics at Iowa State University. Prof. Bushnell received a Ph.D. in Operations Research from U.C. Berkeley in 1993. He has written and consulted extensively on the regulation, organization, and competitiveness of energy markets. Over the last decade, Prof. Bushnell has served on advisory committees to the California Power Exchange, California Independent System Operator and the California Air Resources Board.